A common collector’s item for theatre enthusiasts, playbills are a great way to keep a little piece of history in your home and, depending on the play and actors involved, they can be worth a fair bit of money as well. 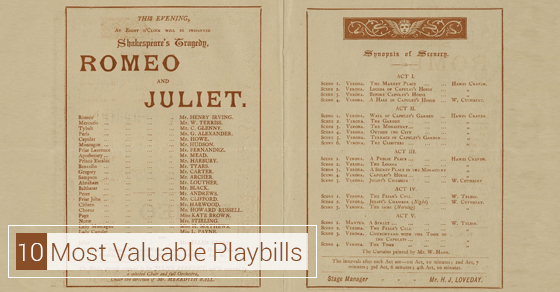 The most important value of any collectible is the personal value it is for its owner but there are certainly some playbills with more universal appeal than others. 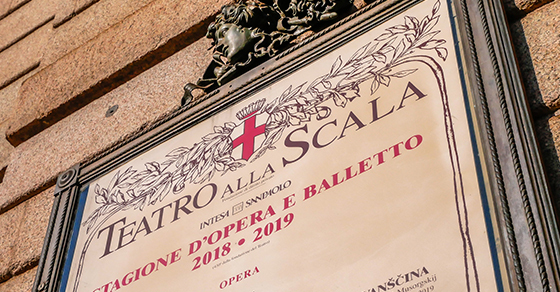 Before 1940: Dracula; Romeo & Juliet; Porgy and Bess; Hamlet; and Madame Butterfly are among some of the most collected playbills from this era. 1940-49: The 1940s were a good decade for theatre. Some favorites include: The Glass Menagerie; Oklahoma! 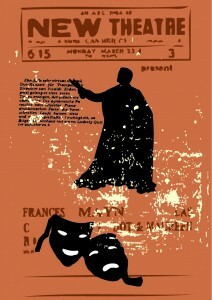 ; The Skin of Our Teeth; A Streetcar Named Desire; Annie Get Your Gun; Our Town; and Cyrano De Bergerac. 1950-59: Another great decade for musical and dramatic theatre, the 1950’s saw such classics as: My Fair Lady; The Diary of Anne Frank; The South Pacific; Cat on a Hot Tin Roof; Baby Doll; Death of a Salesman; Guys and Dolls; and The King and I. 1960-69: The 60s saw such popular shows as: Hello Dolly; Man of La Mancha; Hair; Funny Girl; The Sound of Music; West Side Story; Oliver; Fiddler on the Roof, and Cabaret. 1970-79: Continuing the popularity of both musical and traditional theatre, the 70s welcomed a host of popular shows including: Annie; The Wiz; A Chorus Line; Chicago; Grease; Jesus Christ Superstar; Sweeney Todd: The Demon Barber of Fleet Street; and The Best Little Whorehouse in Texas. 1980-89: Andrew Lloyd Webber’s works are just of the popular shows of this decade: Cats; Starlight Express; Les Miserables; The Phantom of the Opera; The Music Man; Little Shop of Horrors; and Kiss of the Spider Woman. 1990-99: Beginning to show a decline in the number of popularly traded playbills, the 90s still had its share of winners including: Grapes of Wrath; The Lion King; Titanic; Lost in Yonkers; and City of Angels. 2000-13: While theatre may not have the following it once did there are still many shows with a cult following. These include: Hairspray; Newsies; Ghost; Rent; and Wicked. Ziegfeld Theater Program PlaybillFeaturing the signatures of both well-known leading actors, Vivien Leigh and Laurence Olivier, this playbill comes in at a staggering $1555. Blondin C 1870’s Pictorial PlaybillThis very rare antique playbill is in excellent condition and comes in at an impressive $1200. Vintage 1896 German Embassy Moscow PlaybillA more reasonable starter piece for a new collector, this very rare playbill is written in German and features gold trim. It covers the dates of May 24th-June 5th 1896 and costs a respectable $475. Tovarich at the Boston Colonial TheatreFeaturing a signature from Gone With the Wind star Vivien Leigh, this registered authentic piece is a great addition to any collection and costs $400. Barefoot in the Park, Signed by CastThis authentic, hand signed playbill features the signatures of Robert Redford, Elizabeth Ashley, Mildred Natwick, Kurt Karznar, and Herbert Edelman and costs $400. Original Harry Houdini 1907 PlaybillThis linen-backed playbill announced Harry Houdini to the world and his watching audience on the night of September 8th, 1907. The bill sells for a respectable $349.95 on eBay and is currently attracting interest from across the globe. Ethel Merman “TAKE A CHANCE” (“Humpty Dumpty”) 1932 World Premiere PlaybillThis rare September 12th, 1932 playbill from the B. G. “Buddy” DeSYLVA and LAURENCE SCHWAB musical comedy “HUMPTY DUMPTY” highlights the show before it went through several revisions prior to its Broadway debut. It’s in excellent condition and was available for the price of $300 via2016 eBay listings. Antique 1821 Romeo & Juliet Playbill from Theatre Royal Drury LaneThis antique from the Drury Lane Theatre in England highlights the 1821 performance of Romeo and Juliet, a rare piece of memorabilia from a time in which Shakespearean theatre was receiving revived interest from across the industry. Available at $275, this piece often a fascinating glimpse into the history of the theatre. THE COLOR PURPLE Broadway Theatre 25 Original Autograph Cast SIGNED PlaybillThis Broadway collectible highlights the 2006 stage production of the show “The Color Purple”. The playbill has been signed by all members of the original cast, increasing its worth significantly. The enduring appeal of The Color Purple means that this collectible could offer buyers a significant return on their $224 investment in future. Pre-Broadway Autographed Stage Bill Sidney Poitier Raisin in The Sun 1959 SignedThis 1959 copy of a stage bill from the soon-to-become Broadway classic Raisin in the Sun is signed by Sidney Poitier. Poitier would go on to become a legendary actor and dancer. Available for $200, the playbill is in good condition and would be a high-value asset in any collection. Collecting playbills is both a great way to commemorate the history of theatre as well as an entry point into the collecting and antiques industries for beginners. To learn more on the highest valued playbills in the world today, contact our trusted specialists directly!